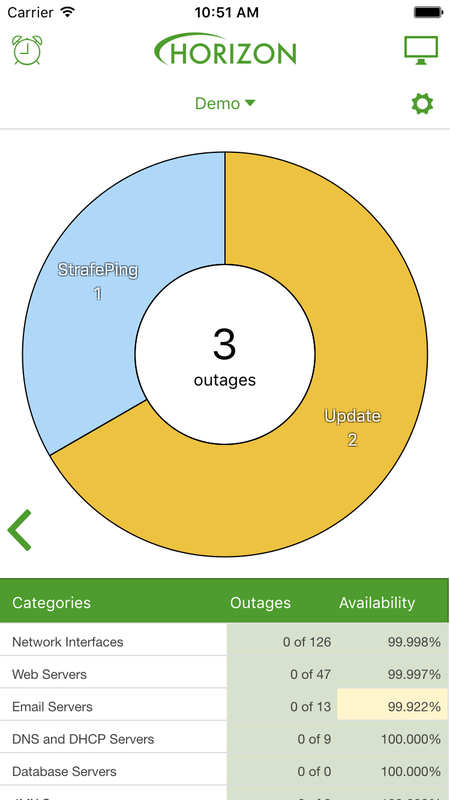 An OpenNMS Mobile App by The OpenNMS Group, Inc.
Compass™ is a modern mobile iOS and Android client for Horizon™ and Meridian™ OpenNMS® servers. 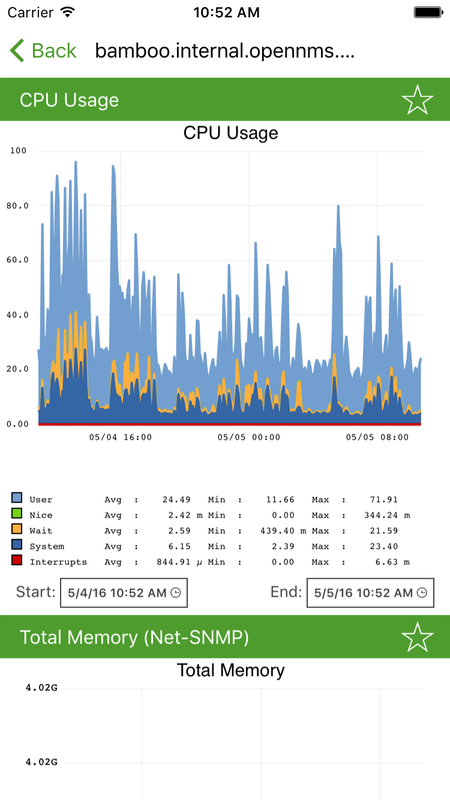 It provides a simple dashboard for viewing outage and alarm data, node details, graphs, and more. 3.2 is primarily a bugfix release, adding support for iPhone X, fixing a crash on Android 8 (Oreo) and higher, and fixing a few cosmetic bugs. Also, 3.2.1 adds support for adjusting the timeout used when connecting to OpenNMS, for slow network connections or servers. 3.1 is primarily a performance update, with improvements to a number of the underlying frameworks Compass uses. It also includes a newer version of Backshift, our client-side graphing library, with a lot of great bug fixes and graphing improvements. On iOS, 3.1 fixes iOS 11 support and adds the ability to auto-fill usernames and passwords with tools like LastPass and 1Password. Graphs! Compass 3.0 now supports resource graphs using the measurements API, available in Horizon 16 and above, and Meridian 2016.1.0 or higher. Multiple server support! Now you can configure and switch between multiple OpenNMS servers. Maps! (No, not those maps... *cough*) The node detail page will now show your node on a map if it has geolocation information. Ads! Thanks to everyone who supported Compass 2.0 but we decided to remove the ads to improve the experience for everyone. 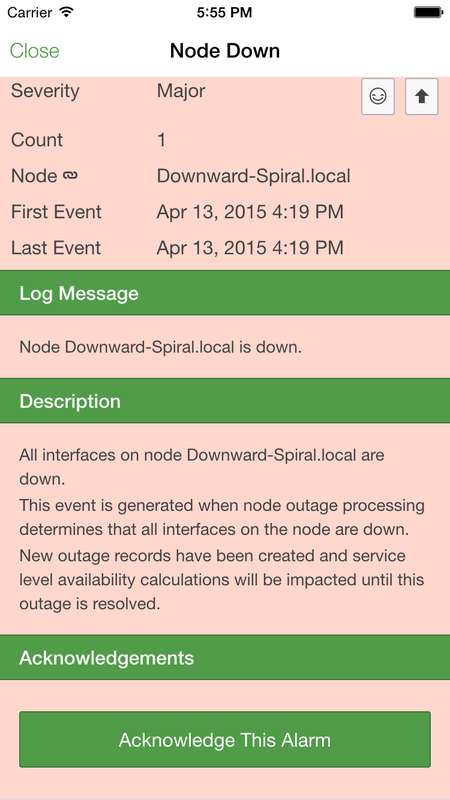 At a glance, you can see a summary of any current outages and services with pending problems. 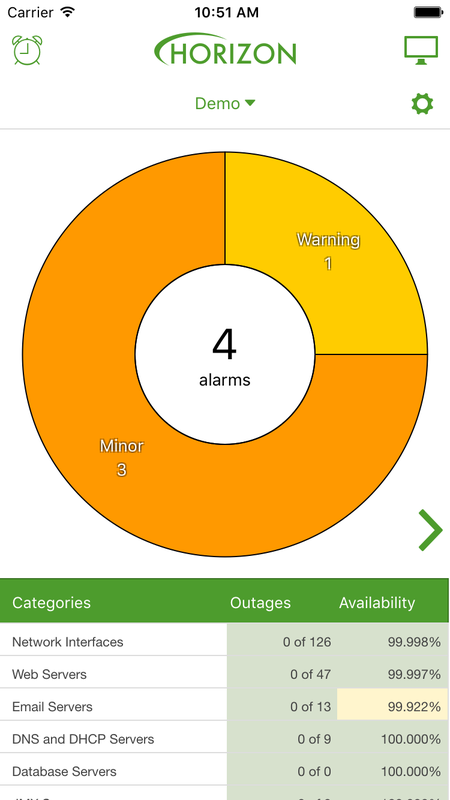 One tap will take you to a more detailed view of outages or alarms. On supported systems1, surveillance categories are also displayed, giving you quick access to availability just like your OpenNMS Horizon or Meridian server UI. You can view your current alarms, as well as acknowledge, escalate, and clear them — right from the list, or from the alarm's details. View detailed information on your nodes, including SNMP attributes, address, availability information1, and outages. If you are running the latest Horizon or Meridian release1, you can also view the geolocation of the node on a map, and update it with your current GPS location with the push of a button. View and favorite node resource graphs and see them at a glance on the Compass dashboard2. 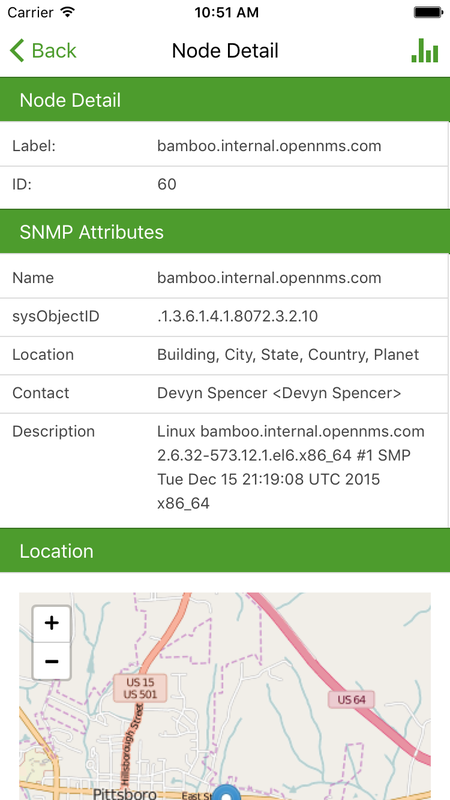 OpenNMS Compass runs on iOS 8 or higher, and Android 4.1 or higher. Meridian version 2015.1.0 or higher. Availability information and alarm acknowledge/clear/escalate are only available on Horizon 14.0.3 and Meridian 2015.1.0 or higher. Graph support is only available on Horizon 16 and Meridian 2016.1.0 or higher. A: OpenNMS Compass is free. Q: I'm getting 'permission denied' errors, what should I do? A: Some versions of OpenNMS are pickier about access and permissions than others. If your version of OpenNMS supports the "mobile" role, it is recommended that you add your user to that role in $OPENNMS_HOME/etc/magic-users.properties. The OpenNMS Compass Channel in OpenNMS Chat: A Slack-like chat server for the OpenNMS community. The OpenNMS Compass Mailing List: An e-mail discussion list for help with and discussion of OpenNMS Compass. The OpenNMS Issue Tracker: If you find a bug or have a feature request for future OpenNMS Compass releases, please report them to the Compass issue tracker. You can beta test on Android by opting in to betas in the Google Play store. To be added to the iOS beta test, e-mail compass@opennms.org with the subject line "Compass Beta Test" and we will send you an invite for beta testing. Compass™ is maintained by The OpenNMS Group, Inc.